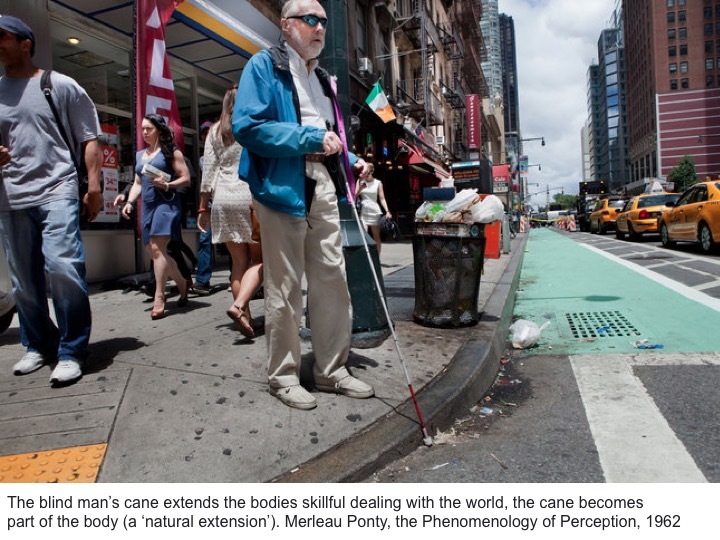 In the past years I have been conducting design-research into the question of how to empower people with cognitive “impairments” (I don’t like the word impairment). 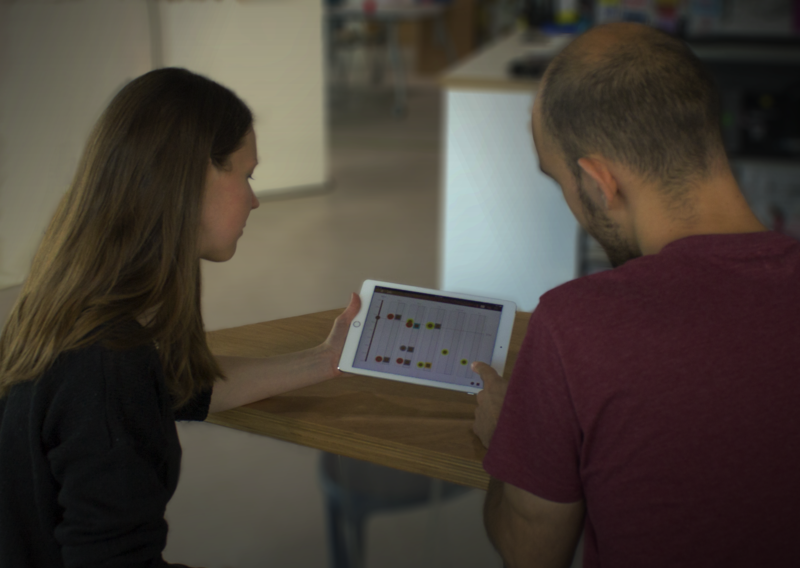 In our lab we are especially interested in finding out how interactive, ‘mixed physical-digital‘ technologies can be of service in getting a grip on everyday life situations. Think of terms like “augmented reality”, “wearables”, “internet-of-things (IoT)” “ubiquitous computing”, “ambient intelligence” and the like. Anything that is not a regular app on a screen and tries to merge with the physical and social environment in much richer ways. Our vision on empowerment is perhaps best summarized as: enabling people to be and become most fully who they are. I am proud to anounce that two of these products feature at the Dutch Design Week 2017! Dynamic Balance – designed by Valerie Mencke – features at the Mind the Step Exhibition on behalf of University of Twente and 4TU. 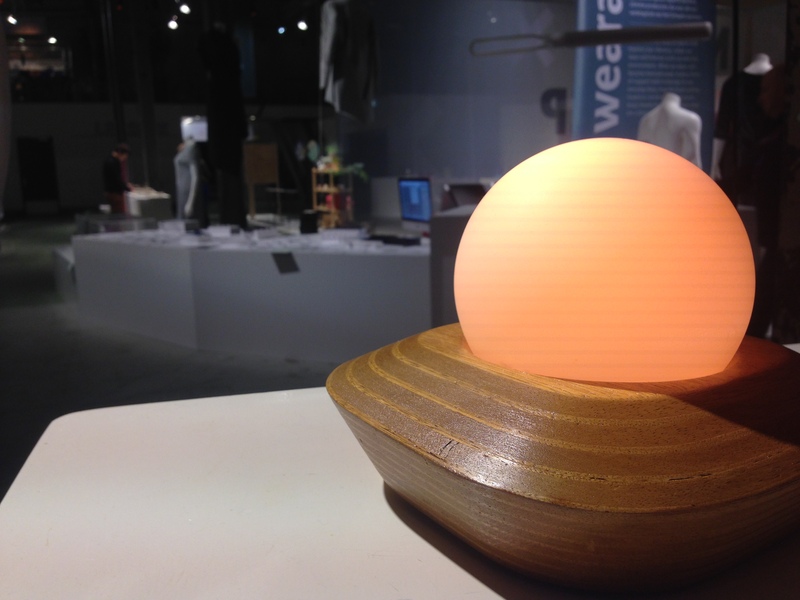 MyDayLight – latest iterations by Melina Kopke (concept) and Laura Beunk (programming) – features at the Work In Progress exhibition on behalf of Utrecht University of Applied Sciences, our collaborator in the Powertools project. On this page I share information about these products and others. For more detailed discussions I refer to my publications page. Dynamic Balance gives people with autism (or anyone else in need of it) more grip on their emotional lives. 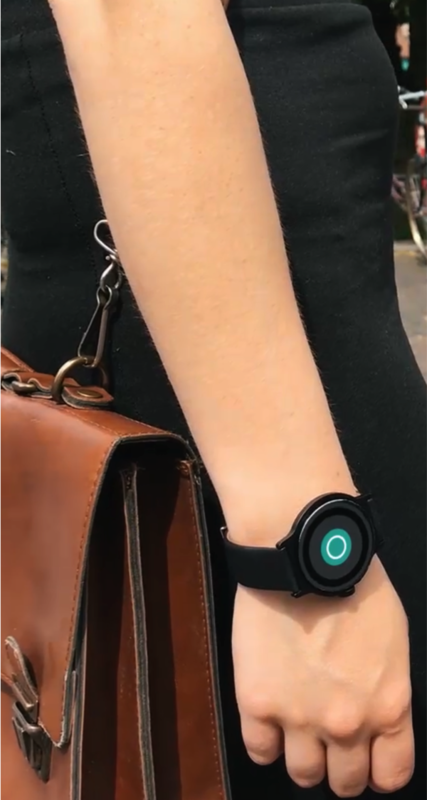 The product comprises an interactive watch and a smartphone app and offers support in a person’s emotion regulation process. 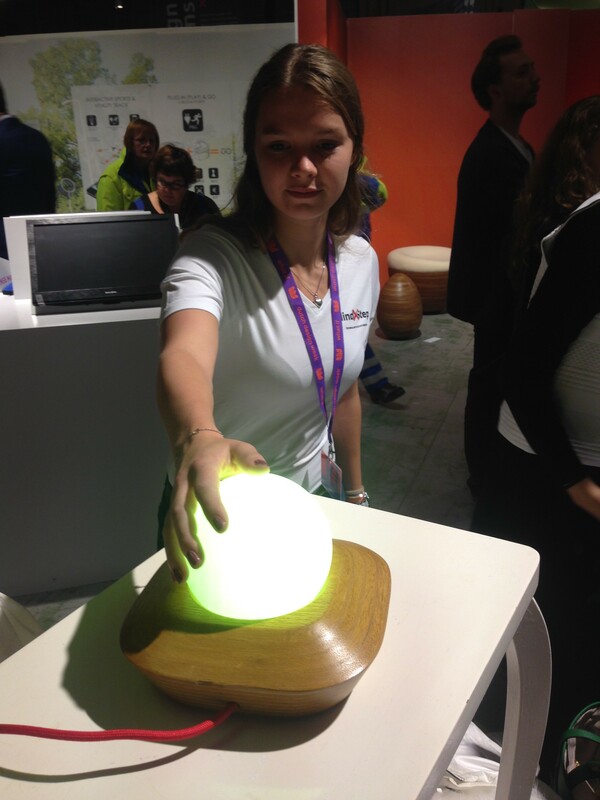 Dynamic Balance subtly visualises the arousal level. You can tick the watch to create ‘reference circles’, which help you to compare current stress-levels with earlier moments, and learn about your emotional dynamics by reflecting on these comparisons. 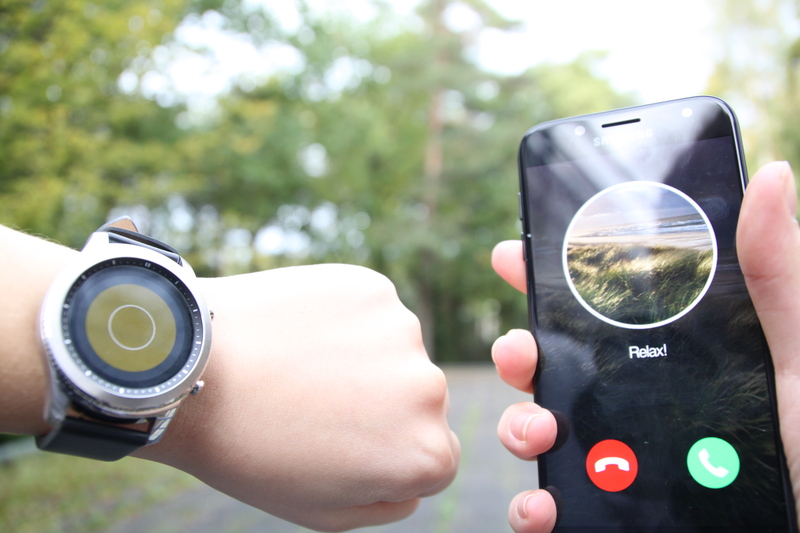 Using the smartphone app, you can record your own messages-to-self. Once the system passes a (self-defined) treshold, the phone will call you, and you will be able to step out of the current situation by listening to your own self-recorded calming message. Dynamic Balance had a prominent place at the Powertools Event on Sunday March 18 2018. Dynamic Balance was presented by Valerie at Pakhuis de Zwijger as part of Diagnosible Self (Sign of Time #18) at Feb 12 2018. Dynamic Balance will feature in the 4TU Mind the Step Exhibition at the Dutch Design week 2017! 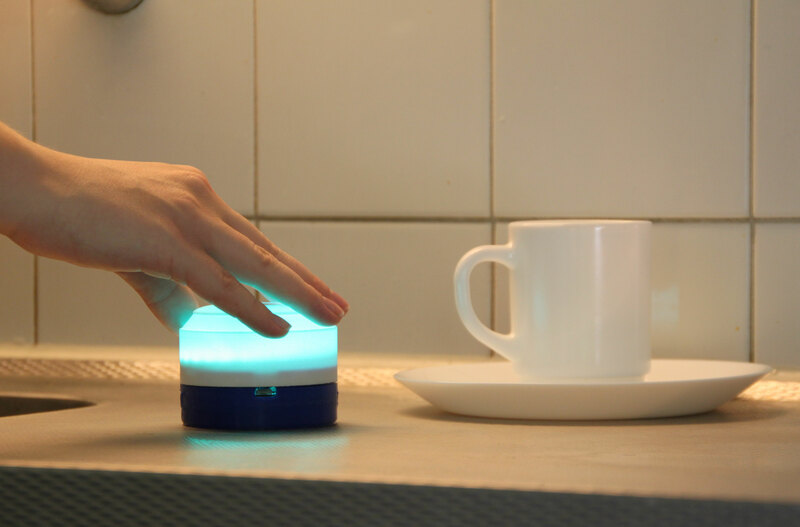 MyDayLight is an interactive light system designed to support high functioning, semi-independent living people with Autism Spectrum Disorder (ASD), in managing daily affairs in their own life in their own home. Clients can plan activities they intend to do next day. 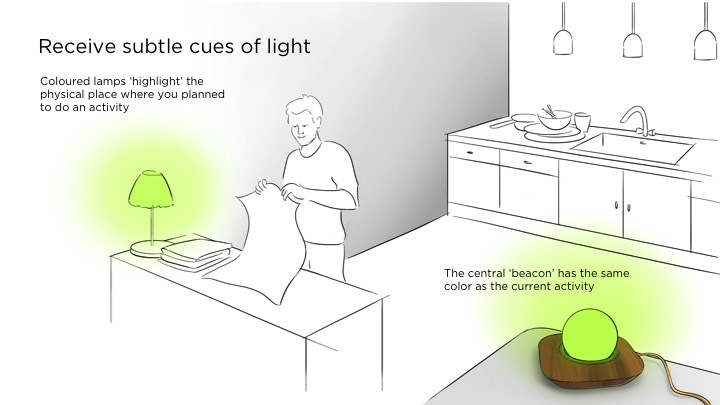 The system will then give subtle visual hints in the form of colored light that is distributed in the physical space. In this way the personal structure in a person’s own home is ‘augmented’ with light cues that high-light the aspects of the room that are relevant for the current planned activity. 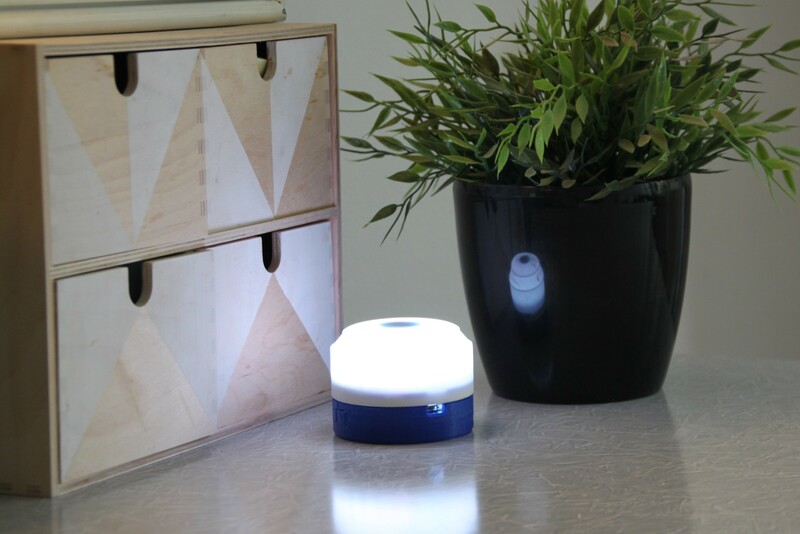 The lights help a person to focus on the task at hand and function as subtle reminders. They specifically do not instruct or explain when and what to do – because this is something that clients are perfectly capable of dealing with themselves. The system therefore supports a client’s own particular way of organizing and executing activities. 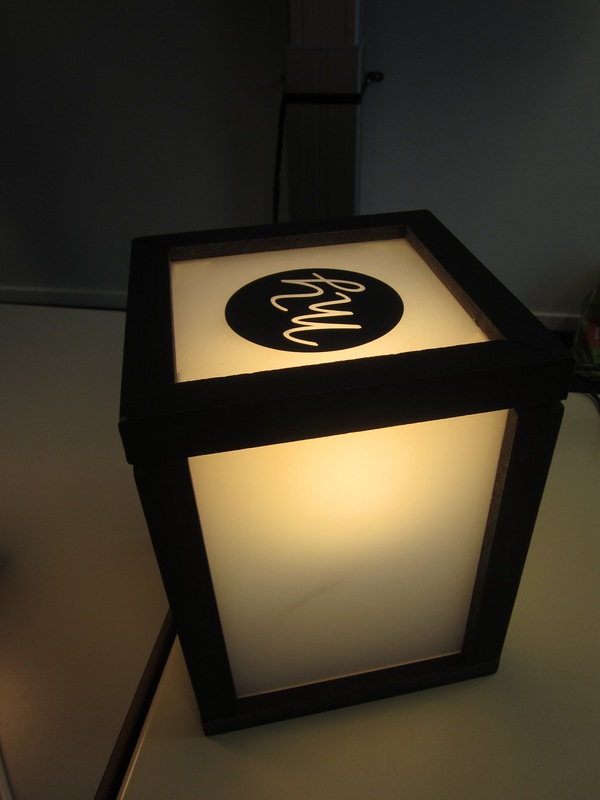 The light cues are created by the client, for the client. MyDayLight had a prominent place at the Powertools Event on Sunday March 18 2018. 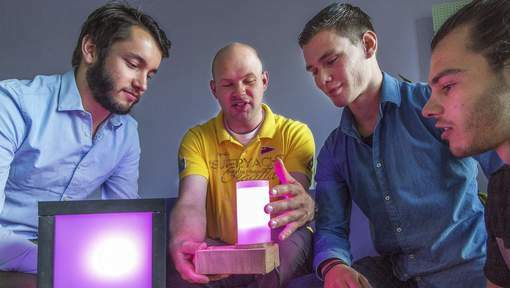 MY DAY LIGHT and Dynamic Balance are a collaboration of University of Twente and Utrecht University of Applied Sciences in collaboration with Philadelphia Care Organization, their clients and caretakers and contributions from Kaliber, and, in earlier phases, Ordina and Philips. 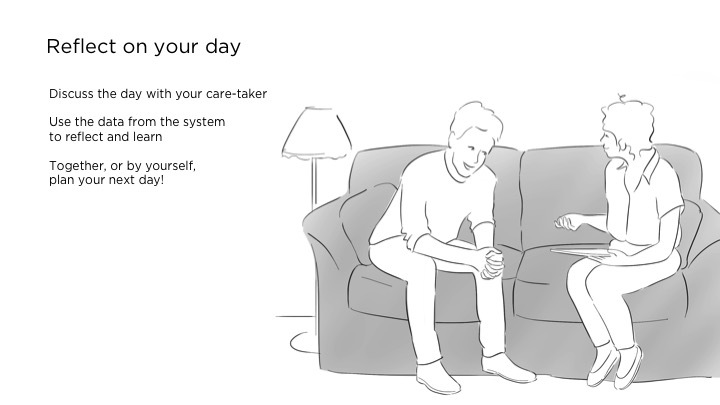 MyDaylight started in 2014 and as of 2016 the project has become part of a larger RAAK-SIA project called POWERTOOLS in which a range of different interactive technological supports for people with social-cognitive impairments are designed and researched, involving clients, caretakers and other stakeholders. One of the latest projects in Powertools resulted in Dynamic Balance. Thanks and credits go out to the four clients and all students involved in this project. MY DAY LIGHT and Dynamic Balance are example outcomes of an approach we call Designing for Embodied Being in the World (or D4EB). D4EB refers to designing innovative mixtures of physical and digital forms that are integrated seamlessly into a person’s lifeworld, which is the mundane everyday setting consisting of our evolved routines and habits, our common artefacts and tools, and our relations and interactions with other people. D4EB creates products that acknowledge and utilize our bodily skills, routines and habits as well as our ‘situatedness’ in the local physical- and social context. It aims to create technologies that become a natural extension of our own particular ways of being-in-the-world, thereby strengthening a person’s identity and self-management. While ‘in the action’ we strive to avoid having to interact with a screen interface. This would ask the user to go with his attention from what he was doing to another ‘digital world’ in order to get useful feedback. For example, in MyDayLight, based on our co-design sessions we concluded this would only add a completely new set of distracting stimuli that the client needs to deal with. Instead, the set of wireless, free-to-position lamps give ambient peripheral cues that are right there where the attention of the client should be directed, and in that sense do not ask for any shifting of attention: they highlight where attention should be. Having the physical lamps in place we added in our fourth iteration a set of tangible interactions that enable the client to tell the system he has seen the light and is responding to it. 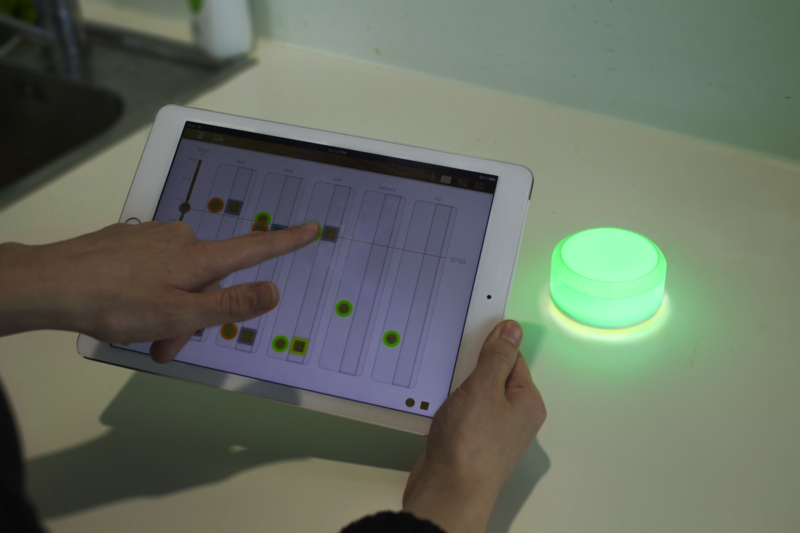 Moreover, by turning the lamp in one of two colours the client can let the system know if he feels ‘good’ or’ not so good’ about doing the activity. These emotion markers end up in a tablet interface that represents the days of the week. In the iterative design of MyDaylight we progressively ‘reframed’ our understanding of this screen-interface. In the first iterations, it was merely a ‘calendar’, and we assumed the calendar to be used to plan tasks for the future. However, we found out that this calendar actually allows for engaging in shared reflection, that is, taking a moment together with your caretaker to look back on the day and learn from it. We therefore call the tablet now a reflector. The emotion indicators help even stronger to reflect on the day, possibly highlighting moments of the day where things did not go as planned – but also for not forgetting, and celebrating, when things actually went quite well. Embodied Empowerment is deliberatively participatory in nature. We strongly believe in the need to involve all relevant stakeholders, especially end-users, into the design process. This is particularly relevant when the designed tool is to become an integrated, omnipresent aspect of a person’s everyday life. Ethically, because we believe that clients should be able to ‘give form’ to their own life in their own desired ways. And in terms of design information, because we can only design a useful Embodied Design if we somehow incorporate into our design considerations the concrete, localised ‘lived experience’ of people, and the only way to do this is by involving the actual people themselves. For some of the techniques we use and our philosophy, consult the Powertools Co-design page. (in Dutch). Both projects are Research-through-Design projects. Research-through-Design for us means that we not only apply academic knowledge to practical design challenges, but also that we investigate and question the theoretical foundations that inform our design efforts by confronting this theory, through the design attempt, with practice. 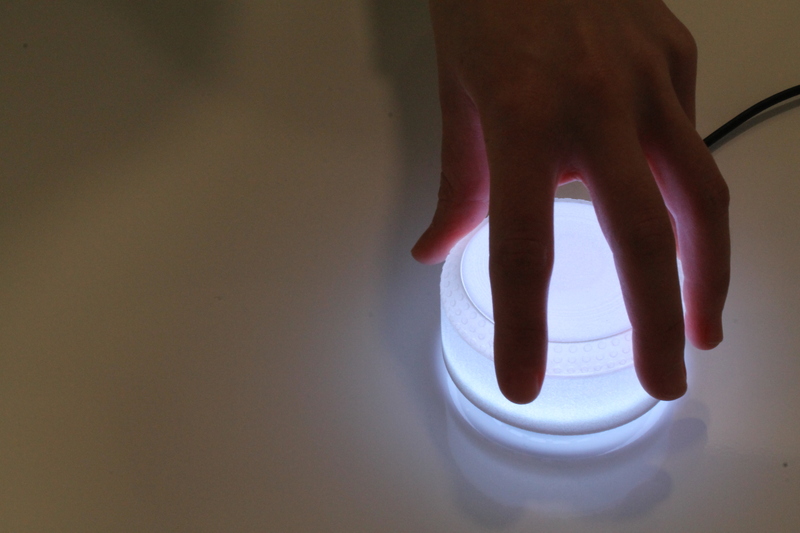 Specifically we investigate the details of theories of ’embodied interaction’ through design projects such as the MY DAY LIGHT project and Dynamic Balance, confronting the theory both with the practice of creative, skillful design as well as with the ‘user practice’ – i.e. by testing and evaluating working prototypes in the home of the client. 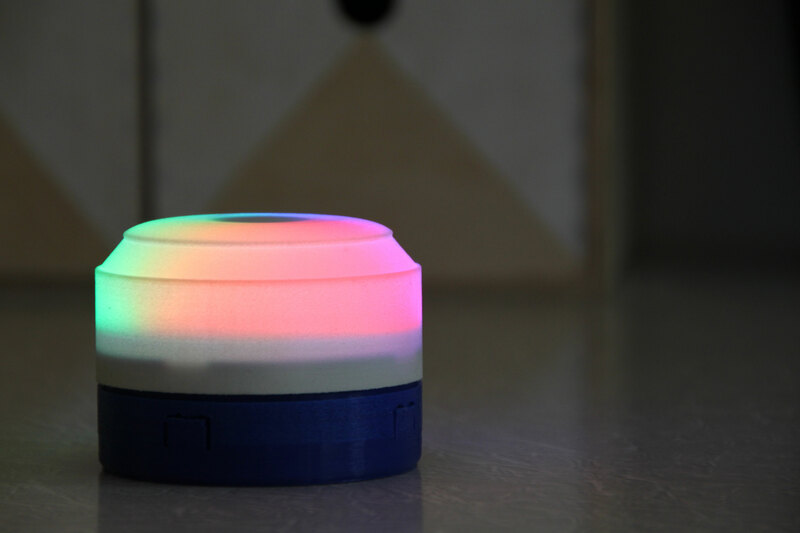 Here you see the evolution of the MyDayLight prototype. Each prototype not only represents and end-result (a solution), but also reflects a new insight, or ‘reframing’ of the problem (‘challenge’) that the product aims to contribute to. Please consult jelle DOT vandijk AT utwente.nl if you are interested in this project or if you want to collaborate with our research group and consortium.